In the latest issue of CoroCoro of course. They’ll likely be ‘officially’ revealed on the main Pokemon website in a short while. 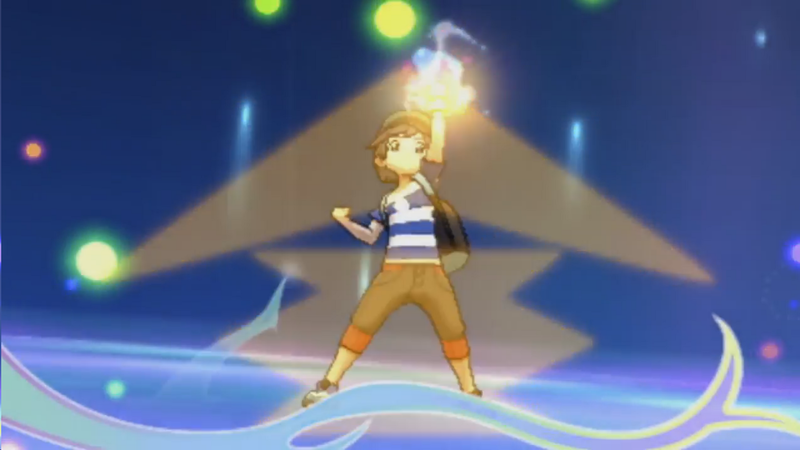 The first reveal (Kiteruguma) is a Normal/Fighting type. Designed like a black bear, it has the abilities Fluffy or Klutz and is feared in the Alola region. Enough that merely raising one is said to put your life in danger. Which is pretty terrifying really. Comments like that are only typical of pseudo legendaries. Like say, Tyranitar or Hydreigon. So there’s a possibiity Kiteruguma is a bit more powerful than it appears. Or it could just be a coincidence. Lots of Pokedex entries and descriptions make Pokemon out as scarier than they actually are. Anything is possible. Above: I’ve heard of ‘pikaclones’, but this is ridiculous! You can definitely a resemblance there. 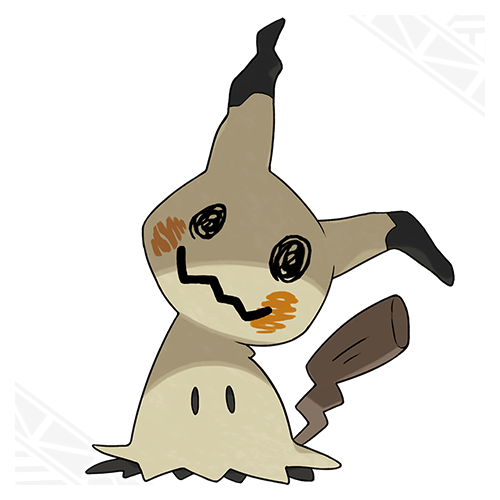 Seems like this Pokemon is deliberately trying to pass itself off as a Pikachu or something. Also, removing its cloth can give its trainer an illness. Take that as you will. What do you think of these new Pokemon species? Please be a fake. 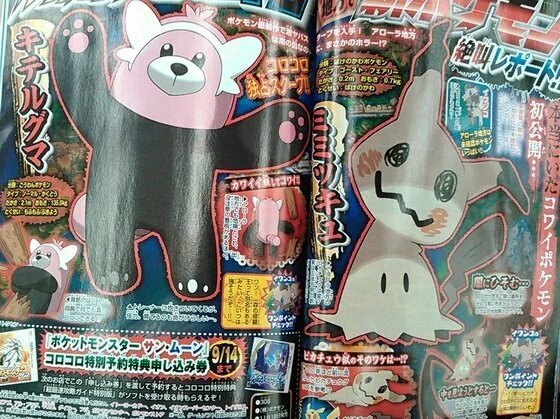 This I don't usually complain about Pokemon design, but wtf. That bear thing is just… creepy. Not good creepy like a ghost Pokemon should be. 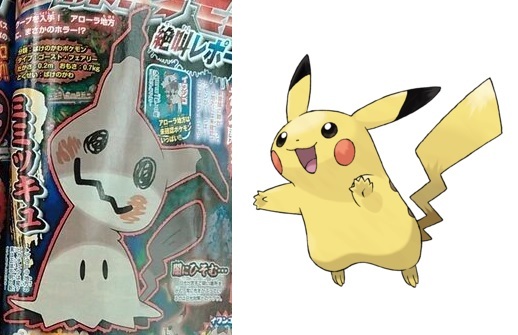 Speaking of creepy, what is wrong with Pikachu? 0_0 Oh wait it's just a Shroomish in disguise. It’s not a black bear, it’s a red panda. Just look at the tail.